If you have growing and mature trees on your property, you love the way they look and all that they provide for your home and property. You want to do all you can to help keep your trees healthy and looking their best and to do this you need to give them the proper care they need. Most homeowners are not well-versed in tree care and run risks if they try to do things like trimming or pruning on their own. Many people do not understand the difference between tree pruning and tree trimming in Bel Air, which is why you want to consult with us at Your Way Tree Service, Inc. to get the professional work done you need. While some tree services tend to use the two terms interchangeably, the truth is that there is a difference between pruning and trimming services. When your tree needs pruning, it means that the tree needs dead branches and limbs or areas that are diseased or damaged removed from the tree. The process usually involves the cutting off and removing of different branches so that new growth can occur on a large branch or on the main trunk of the tree. Pruning is done more for health reasons involving the tree to keep it viable and growing. Tree trimming in Bel Air differs from pruning in that in trimming, the tree is groomed and shaped to provide you with a more aesthetically pleasing look. Trimming normally focuses more on the outer exterior of the tree where new growth occurs and involves the removal of small branches and leaves to help improve the way the tree looks. Trimming may not involve the same extensive level of work that pruning does. 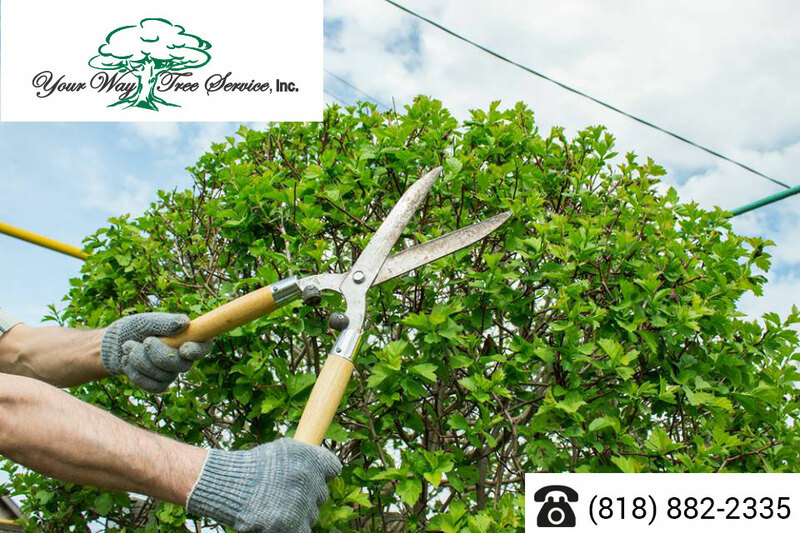 If you are not sure if you need tree pruning or tree trimming in Bel Air or some combination of the two, you can give us a call at Your Way Tree Service, Inc. and we will be happy to assist you. You can call us at 818-882-2335, and we will be glad to set up an appointment with you where we can come and evaluate your trees for you and provide you with recommendations for the care they require. Take steps to give your trees the best care so that they can continue to thrive and look their best for you.